In 2004, Shane Carruth wowed Sundance Film Festival audiences with his heady time travel flick Primer, which he made with no prior filmmaking experience and shot (on film!) for a budget of around $7000. Carruth is finally back with its follow-up, Upstream Color, which premiered at this year’s Sundance and The AV Club’s Sam Adams called “one of the most transcendent experiences of my moviegoing life.” Upstream Color will play NYC’s New Directors/New Films Festival in March and the film opens theatrically at the IFC Center on April 5. The DVD and Bluray will be out soon after, May 7. You can watch the gorgeous, non-spoilery trailer below. 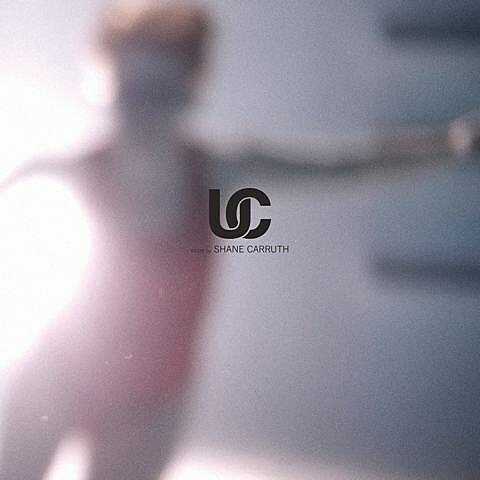 Like Primer, Carruth did almost everything on Upstream Color himself, including the soundtrack which was released today digitally and on vinyl. Ethereal and somber, Carruth’s score definitely comes from the Eno, Vangelis and early John Carpenter school and, while I haven’t seen the film yet, it’s a lovely listen on its own. You can stream the whole thing below. Shane was also nice enough to answer a few questions about his Upstream Color score and you can read that below. BV: You are truly a DIY filmmaker, handling almost all aspects of production, including the score. I imagine for Primer, you did the score yourself for budgetary reasons. Did you consider hiring an outside composer for Upstream Color? Shane Carruth: The short answer is no, I didn’t. Something happened in the writing where I started to understand the emotional weight of what was being explored, the romantic promise that exists when characters are broken to their core. At that point I fell so hard so fast for the story that I couldn’t have waited around for a another composer if I wanted to. So I would compose at the same time as writing the screenplay and let each affect the other in real time. Both the Primer and Upstream Color soundtracks have a similar vibe. Did you approach the score to the new film differently? A different set of goals? I view them as vastly different works, but maybe that’s just me. I’m so grateful for the response that Primer has had, but I’m a bit insecure about its rough edges and that goes for the music too. Upstream is something I could not be more proud of in both its ambition and execution. The music is more accomplished I think and is so much in service of the exploration that it’s hard for me to sever in it my head from the visual language. The film has an aesthetic of tactility, mania, and being affected at a distance so the music always relays the subjective experience of the characters, not what the audience is meant to feel which can be two different things. You were an engineer before Primer. What is your musical background? Is the score entirely keyboard/sample based or are their live/organic instrumetns involved? (It’s hard to tell anymore.) What do you compose/record on? It’s a combination of everything. There are real instrument recordings, synths, and samples that start as soundscapes but have been converted to instruments by pitching (ex. the hum of underwater sodium lights). Everything is done on my laptop and Logic is the software I use the most. Do you make music when not working on a score? Ever been in a band? What are some of your favorite soundtracks? Composers? What are you listening to these days? You’re releasing the Upstream Color score on vinyl. Are you a vinyl enthusiast? How many copies are you pressing? I’ve become one very recently. I dismissed the whole idea for years, but I can’t deny there is a real quality to vinyl that I’ve been missing. I haven’t delved into whether it’s imagined or not, but even the simple ritual of setting a record spinning has become something I go to to relieve anxiety. We’ve pressed 500 this time.